Hello you. The first Retro F1 in a while took place yesterday. 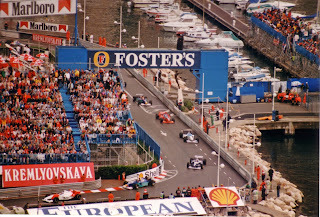 And we had a great race to watch, the 1996 Monaco Grand Prix. It's a race that has lived long in the memory due to its drama and surprise result. For those who don't know, Retro F1 is watching a classic F1 race in full on YouTube and chatting on Twitter with like-minded F1 people as we go using the #RetroF1 hashtag. All are welcome! The highlights of yesterday's Twitter chat are below. It’s in several parts, it's a playlist so it should automatically move onto the next part when one ends. Not much of a backstory to this race. 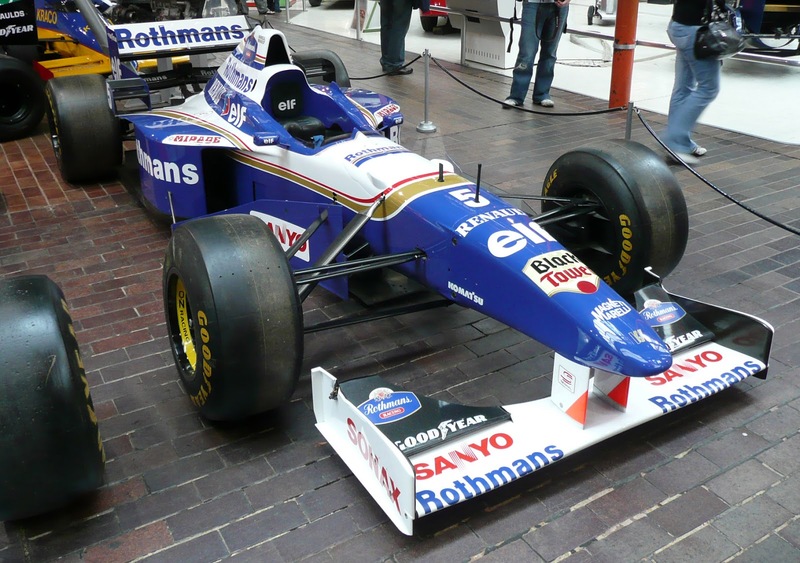 This is race 6 of the 1996 season, Damon Hill in the Williams has won 5 out of 6 races so far, and leads the table by a country mile. Indycar champion Jacques Villeneuve, arriving in F1 to be Hill’s team mate, is next up, winning the other race. Elsewhere, there’s been a driver shakeup. Benetton’s twice-world champion Michael Schumacher has decamped to Ferrari. Unfortunately the Scuderia responded by building a dog of a car for him, the F310. Schumi nevertheless managed to stick it on pole here, by half a second. He then baulked Berger, too busy waving at the crowd when Gerhard was on a flyer. But back then nothing came of that sort of thing. Hill is second on the grid. JV, showing his distaste of street tracks, starts 10th. Jean Alesi and Gerhard Berger have made the return journey from Ferrari to champion constructor Benetton. Both however are struggling to get the car, designed around Schumi’s driving style, to handle to their liking. They populate the second row here. @djtrickster77 It’s wet!! That’s gonna make it exciting! Only Jos Verstappen has gambled on starting on slicks. @djtrickster77 Ben Edwards & John Watson commentating...cool! ‏@mario_eb Curious fact: David Coulthard is wearing a Michael Schumacher helmet. Anyone know the reason why? In the morning acclimatisation session allowed because it was wet, DC's helmet was misting, so Schumi let him borrow one of his. We're off, and Hill gets the jump on Schumi. @SartoMutiny Hill leads! Schumi forgets to do the Schumi chop. @BERNSY001 Jos the boss went off at the first corner, gamble didn't pay off! ‏@mario_eb Slicks for Jos. Bad idea. @MKaipio Poor Schumi, just a small mistake, used the curb too aggressively. ‏Four out on lap 1. Schumi as mentioned, Verstappen crashed on slicks, and the two Minardis managed to hit each other. @TifosiJourneyer Barrichello is out by now as well. ‏Ah yes, five out on lap 1. Six if you include Montermini who crashed in the warm up. Katayama crashes, not for the first or last time. @Ads21 Irvine doing his best impression of Jarno Trulli, train building up behind him. That's what I was going to say. Great minds think alike... Frentzen (in fifth with Irvine fourth) is all over him. @F1isP1 Inboard footage from Irvine - looks slow, more like Driving Miss Daisy than driving for victory. @BERNSY001 Hill is pulling away quite a bit aye. ‏@djtrickster77 Hill’s tanking away from Alesi and Berger! Impressive!! Hill 11.6 seconds ahead already, this is a rout thus far. @SartoMutiny These days, the race would be taking place behind a safety car. When did F1 become so wimpy? @SartoMutiny Riccardo Rosset doing what Riccardo Rosset does. ‏I'm sure @EwanMarshall will be sad to hear of Ricardo Rosset's demise. Eight down already. @SartoMutiny Eddie Irvine is a mobile chicane, as per usual. What is the point of Eddie Irvine? ‏He knew what was expected of him. ‏@SartoMutiny Damon Hill almost on a different circuit to everyone else. Autosport asked the other week if Damon Hill is F1's most underrated champion. Races like this suggest they were onto something. @djtrickster77 It seems the race is split into 3! Hill then the two Benettons then the Irvine train of cars. ‏@geoffarnold 1996's full wet tyres look much less sticky than they are today. From the TV picture, the track doesn't look that wet - 2012 Intermediate conditions, perhaps (but that will change). Seems Jacques Villeneuve has got jealous of Irvine's train and wants to create one of his own. ‏@SartoMutiny: I completely forgot about Jacques Villeneuve. @SartoMutiny Gerhard's gonnae win. I can feel it. And you've jinxed Gerhard, as he's in the pits with tech trouble. @F1isP1 Bad luck for Berger - looked well placed for serious points. A brilliant helmet design too. @djtrickster77 That means Irvine’s up to 3rd! The race seems to have settled down for now. Hill > gap > Alesi > gap > Irvine with Frentzen trying to climb over the top of him. @djtrickster77 Why is Villeneuve struggling? As he’s not catching Coulthard, Frentzen and Irvine. 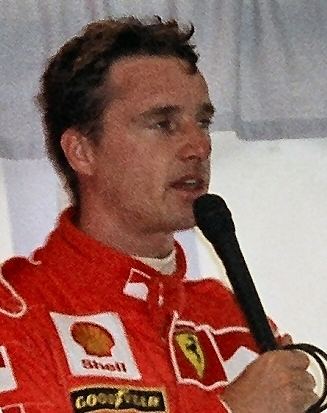 Villeneuve hated the wet and he hated street circuits. Today he had to deal with both... Apparently JV never raced in the wet prior to arriving in F1, and even in the USA he had a poor record on street tracks. @djtrickster77 Good point!!! Monaco separates the men from the boys...I’m saying nothing. ‏@MKaipio How many of these guys later found a career in TV? Brundle, Hill, Salo at least. @BERNSY001 28 seconds from Alesi to Irvine...wow. ‏Bosh! (again), the inevitable happens, Frentzen hits the back of Irvine, and Harry-Heinz's front wing hangs off. @SartoMutiny It was only a matter of time before HHF went radge. ‏‏Those barriers will 'take you in their arms and caress you baby'. Did John Watson actually just say that? @geoffarnold OK, the Frentzen pit stop confirms that in 1996 they only had full wets & slicks - no intermediates. ‏I think inters only appeared in F1 the next year when Bridgestone entered the sport and thus created a tyre war with Goodyear. You'll notice that Frentzen went back out on wets. He claimed subsequently that he asked for slicks and his team ignored him. ‏@djtrickster77 So many classic drivers & none who are presently in F1. ‏@F1isP1 At least three are - as TV presenters! @djtrickster77 hahaha!! Same as bud! He’s 3 years younger…scary how time flies. @SartoMutiny I believe the only current driver older than me is @AussieGrit. Might be the same for me now too *gulp*. @gamewriterMike The #RetroF1 hashtag is the number 1 trending topic in Sydney, folks! Time for slicks? Frentzen's the first to jump (apart from the long-departed Jos the Boss). @djtrickster77 I thought Damon was coming in...maybe one more lap. @SartoMutiny Remember when people thought that Heinz-Harald Frentzen was good? Like, Schumi-level good? All based on the myth that he was quicker than Schumi in sportscar racing at Mercedes. Which he wasn't. ‏@moli_erreala If I remember well they used to say Karl Wendlinger was the best of the three. Hill in, and taking on slicks. @djtrickster77 Slick tyres for Damon & is now down to 2nd. ‏Now everyone in, Irvine and Panis blink next. Alesi leads just ahead of Hill, and is persevering with the wets for some reason. Then Hill ignores Wattie's advice and passes Alesi going up the hill past Rosie's. Alesi's wets are seriously old hat. ‏@SartoMutiny Great pass from Hill. @BERNSY001 Pulls away easily...silly choice Alesi. @SartoMutiny He did always like to be different. @F1isP1 Didn't see that happening often either! Wonder if it's still allowed. Don't seem to see that these days. Ach, Martin Brundle's lost it on slicks at Casino Square and is out. No doubt Brundle the commentator would be scathing. ‏@naz_alani Brundle facing the wrong way after losing all grip at Casino Sq... followed by an advert for Goodyear 'The Winning Team'. Timing! ‏@geoffarnold And now Panis comes alight - incredible. ‏Another fastest lap for Panis, and he's bearing down on Irv the Swerve...and now Panis is all over Irvine lack a bad suit. @SartoMutiny I don't think we'll see much more of him in this race. ‏‏@djtrickster77 Irvine’s a sitting duck at the mo. ‏Patience Olivier patience. @F1isP1 Did anyone find out what Panis had for breakfast that day? Wattie seemed to be under the impression that it was 'wheaties', whatever they are. @Ads21 Love the not at all partisan French marshals giving Irvine blue flags! And so it happens, Panis announces he’s coming through at Lowes hairpin no matter what, he’s past apparently unscathed but with Irvine now pointed at the barrier. ‏@naz_alani Panis absolutely smashing Irvine into the wall... That's that Ferrari shaped problem out of the way then! @djtrickster77 Panis is up to 3rd! @geoffarnold Well, that's one way to get past Irvine! ‏You have to admit that was funny. @Ads21 Classic F1 moment, but there's no way Panis would get away with that these days! ‏I seem to make this point in every Retro F1, but today Panis would probably get a drive through penalty for that. Then, no one cared! @SartoMutiny Eddie Irvine stalls. Scary to think how near he came to being world champion. @djtrickster77 I know I shouldn't laugh. ‏@F1isP1‏ Irvine getting his seat belts done up again in the pits - never seen that before either! @djtrickster77 Nice seeing the classic red & white of the McLaren. ‏Ah, we cut for an ad break and Damon Hill retires with a blown engine! @djtrickster77 Hill’s out!! 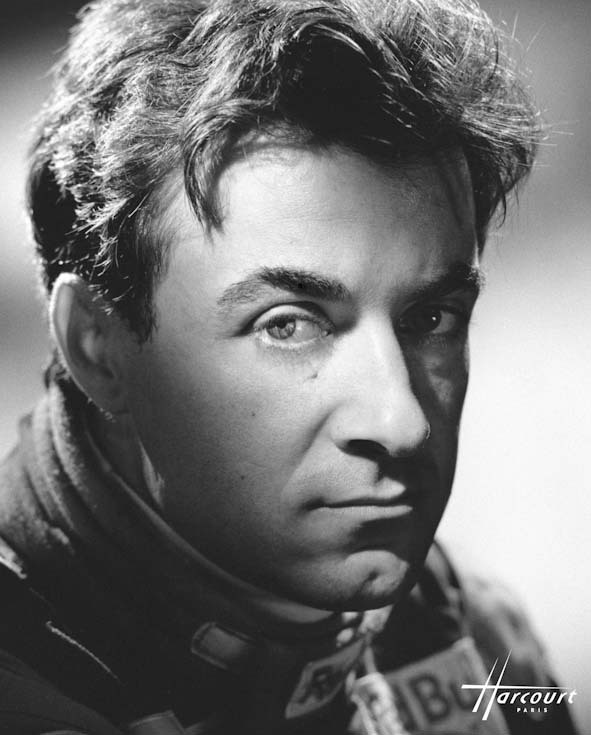 His engine's blown which now leaves Alesi in 1st & Panis in 2nd. ‏@SamskyPony I remember crying about that as a 10 year old. ‏It means that Damon won't win the race that his father won 5 times. Nevertheless it's one of the drives of Damon's career. The eagle-eyed among you will have spotted Panis lost 10 seconds on the last lap. He went straight on at the chicane on Hill's oil. @SartoMutiny I did not know that. ‏‏@djtrickster77 31 sec gap between Alesi & Panis. 46 mins left so it’s gonna end on the time and not laps. @SartoMutiny I bet those two teams were actually allowed to race each other though. Spot the Adrian Newey in the Williams pit. @marks_hallam That must have been roughly when he was asking for a share in the team. F1 might have been such a different place. Frank must regret not giving him a share. You wonder where Williams would be if he had? Probably still winning races. Alesi pits - looks routine. Rejoins still leading. Weird fact: had the current points system been in place then, Luca Badoer would be on for a point. Good point. By historical standards HRT were far from the worst F1 team ever! ‏@mario_eb Badoer & Forti. I remember it wasn't so common to see both Fortis classified in the same GP due to the 107% rule. This was the 1st year of the 107% rule, think it was mainly brought in because of Forti! @SartoMutiny Anybody fancy telling John Watson how to pronounce ‘Villeneuve’? ‏@MKaipio Wattie noting that Hakkinen and Salo 'are not very close'. @djtrickster77 Maybe the fan with the umbrella was a wuss! The top 3 as it stands...Alesi, Panis & DC. ‏Oooh, Alesi back into the pits! That can't be planned! And Panis leads! David Coulthard is close behind in second. Alesi gingerly out of the pits in 7th place! Ooop, Flav's not happy. @SartoMutiny But, as you've pointed out, he owns the car which is leading the race. ‏You'd almost think he was prioritising one over the other. ‏@AH_99 Alesi - a long pitstop, DC into second. Alesi is back into the pits and is out! Turned out it was a rear suspension failure. ‏@mario_eb Alesi, a great driver but always with that dark cloud upon him. @djtrickster77 I believe you’re right but some drivers it just doesn't happen to them…nature of the F1 beast. @MKaipio Poor Jean, both Benettons broke down to the pits. Alesi always with the bad luck. Such a pity for Alesi. Amazing he won only one GP, so many times he led only for something to go wrong. @mario_eb Yes, believe it or not, a Ligier is in 1st place. AGAIN! 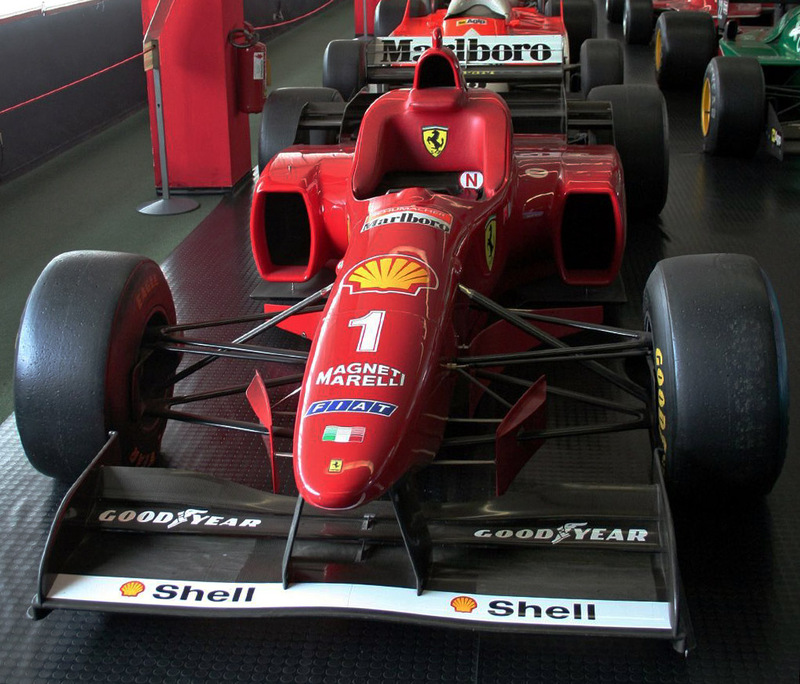 ‏@Sulman This is a great idea, by the way, Retro F1, and a deeply nostalgic time for me. The height of my love for the sport. Every time I look Irvine seems to be in the way of the leaders. Does he stop every time he's lapped and let the leaders come back round? We're running out of cars: Jacques Villeneuve is wiped out by Luca Badoer, who was being lapped for the 2945th time. @djtrickster77 Badoer is a bloody idiot!! Poor Villeneuve & John Watson is soo angry about it! @geoffarnold Close call on which driver was more stupid: Badoer or Irvine. Today both would have been penalized severely. ‏‏Now a grand total of seven cars left. @SartoMutiny Why is there so much traffic? ‏Compared with now, there were more mechanical failures then but I also get the impression there are more accidents than now too. Possibly, but the 2008 Monaco GP had 14 finishers and was wetter and for longer than this race. @jonny11rock After seeing #RetroF1 trending, I'm really looking forward to the new season. ‏@Sulman Although we weren't aware of it at the time, they were far more race-happy then I think. The safety car's become a bit of a blanket. Yep, this race would've started behind safety car now, but on the other hand they got an acclimatisation session on race morning, which they wouldn't get now. Irvine's final insult, he wipes out two more cars and, finally, himself. Four cars and counting. @djtrickster77 Wow!! Irvine spun, Salo and Hakinnen smashed into him when Irvine spun his car around...mental! I'd be soo pissed at Irvine! More drama. To borrow from Peter Kay: it's spitting! ‏@Lady_Muck666 Rain in the pitlane!!!! 8 minutes left!! Clock ticks down, Panis keeping DC at arm's length. @F1isP1 Mrs Panis looks nervous! If memory serves, Mrs Olly Panis was a famous French TV presenter. ‏Panis wins! Wonder what odds you'd have got on that at the race start? @MKaipio Ligier wins, Panis wins!! ‏@SartoMutiny Almost 17 years later, no Frenchman has won since. @djtrickster77 Wow!! What a race…so exciting!! 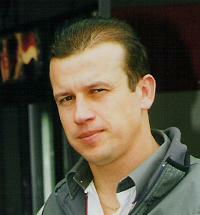 Well done to Olivier Panis for getting his first F1 win! Nice to see the underdog win. @F1isP1 Great to see Panis grab a flag for victory lap - an unfortunately uncommon sight these days. 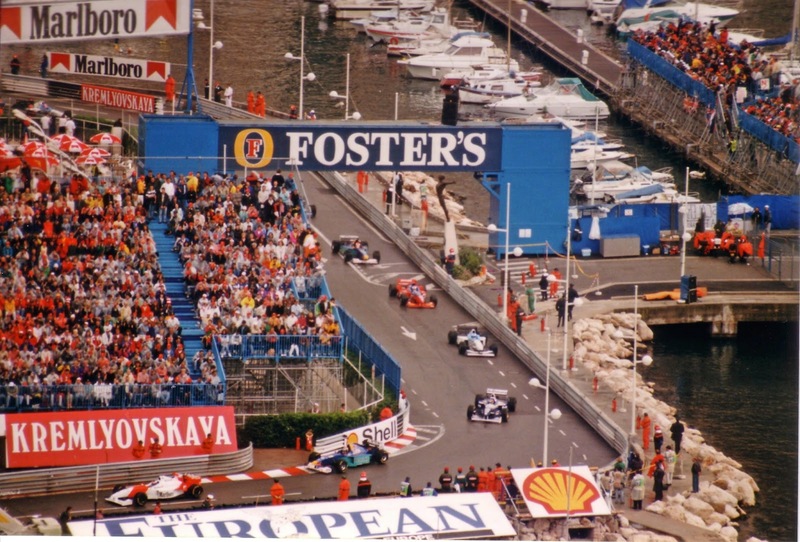 ‏‏@geoffarnold A bizarre race, well worth revisiting - but it was an anomaly in a season that was otherwise dominated by Damon Hill and Williams. And Ron Dennis looks unhappy. Apparently he saw this one as a big one to get away. ‏@MKaipio Ben Edwards was, is and always will be, a brilliant commentator. ‏Yes, Ben Edwards and John Watson were a great commentary partnership. @SartoMutiny Almost unnoticed, a superb 3rd place for Johnny Herbert. @F1isP1 Herbert on the podium? From nowhere!! Would HHF have won if he hadn't hit Irvine earlier in race? ‏Showing the virtue of staying out of trouble. ‏And we ended up with 3 finishers as a confused Frentzen, almost a lap behind Panis, went into the pits rather than cross the line! @SartoMutiny If he'd been driving a red car, he'd probably have been given the race win for that. ‏But that never happened. Oh wait, it did. @SartoMutiny La Marseillaise. Best. Anthem. Ever. ‏Wattie's wrong, the previous French GP winner was Alesi the previous year in Canada (not Alain Prost in 1993). But nevertheless Olivier Panis celebrates with a couple of British F1 TV pundits. And so it ends (or rather we skip back to the start). Thanks all for contributing, hope you enjoyed the latest Retro F1. I'm always happy to hear race requests (though remember it has exist online and for free). Thanks again everyone! ‏@mario_eb Thank you very much Graham for this Retro F1. A special one for me since 96 was my 1st year in F1 & Monaco 96 my fav one ever. @duskyBlogF1 Hashtag #RetroF1, you'll feel like you are in a F1 Time Machine. @AH_99 Thanks for organising Graham it's a great idea & works well with Twitter :-)) look forward to the next one‏. @MKaipio So despite this mishap, Hill continues to hold a commanding lead in the WDC. ‏@YigalV Great race, Great driver, Beautiful car! ‏@Patchworkwords I am having the most fun in the #RetroF1 tag, you are all fabulous.